Polling started on Thursday morning for 91 seats in 18 states and 2 union territories and the conversation on the platform reflected this. Twitter recorded 45.6 million Tweets related to the Lok Sabha Elections from 11th March 2019, the day elections were announced, until 11th April 2019. Of the 45.6 million Tweets recorded during that period, 1.2 million were Tweeted today during phase one of the 2019 Lok Sabha Elections. Throughout the campaigning period, politicians and political parties have been using Twitter to communicate with citizens all over the country. Campaigns, manifestos and announcements around policies and key social issues have accounted for some of the top-Tweeted moments as voters got ready to go to the polls. Along with politicians and parties, citizens have been using the platform to address their queries directly to contesting leaders. Prime Minister Modi (@narendramodi) has emerged as the most mentioned figure during this first phase of the #LokSabhaElections2019 conversations on Twitter. Indians in India and across the world have been engaging in dynamic conversations around the elections with relevant Hashtags, Replies and Retweets, to discuss the topics that matter most to them. In the past month, leading up to elections, national security has emerged as the most talked about election-related topic on Twitter. With several phases to go, Twitter is encouraging healthy democratic participation by giving citizens a voice and a platform to be heard in the national conversation online. 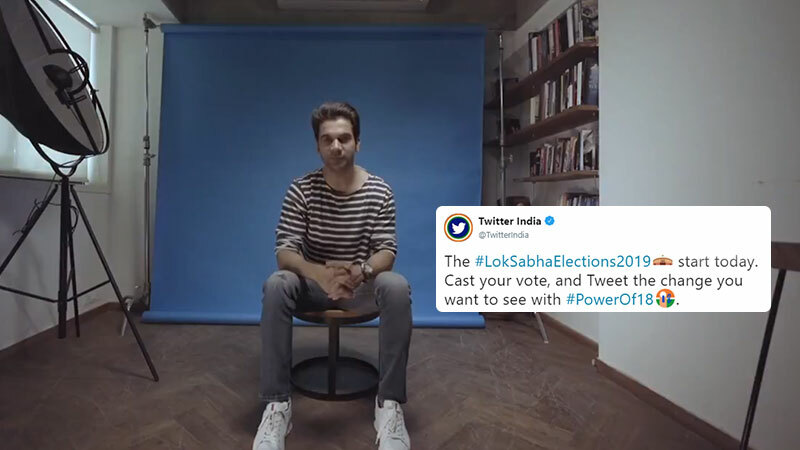 To that effect, Twitter India also launched their latest video in the #PowerOf18 series to encourage young Indians to participate in civic discourse, understand the significance of their right to vote and contribute to public debate on Twitter. Whether it’s asking candidates questions directly about their policies, or discussing what the future of India looks like, citizens have the opportunity to voice their views on key national issues in real-time on Twitter.